It was 6:15 a.m on a summer day, and I woke up to crying. Crying? At 6:15? Who? I thought I was dreaming, but decided to dress and go downstairs to investigate. It was real crying–more like sobbing. Scout had decided to wake up early and make a pillowcase dress all by herself. The problem is that she had cut her sleeve holes on the wrong side–or actually, she had cut the holes right in the middle-front and middle-back of her favorite pillowcase. AND SHE HAD BEEN TRYING SO HARD! I thought, then remembered that her favorite pillowcase might have had a match still at the thrift store. At 9:00 when the thrift store opened we were at the front door, and yes, there was still the mate to her pillowcase left. WHEW!! It kills me to see a broken hearted girl. 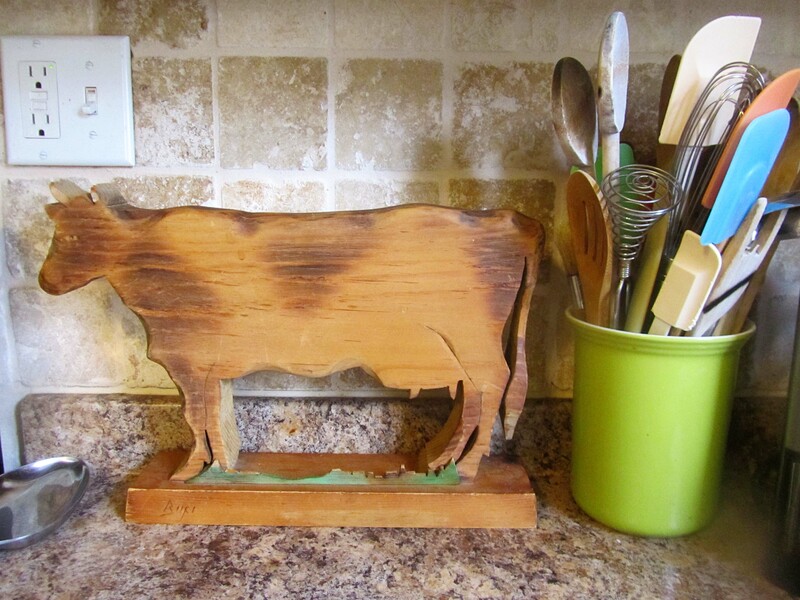 I also picked up this How-Now-Brown-Cow which serves no other purpose than to be in the way. I thought it would look good with a wooden sign hanging below that said, “Butter Lover” or “Dairy Maid” or “Dairy Queen” or “Welcome” or something, but I really don’t have any more wall space in my entire house, so it will just keep me company on the countertop. We started a second pillowcase dress on the mate to the mis-cut one. Scout was happy. Although she occasionally hit a pin, now and then. 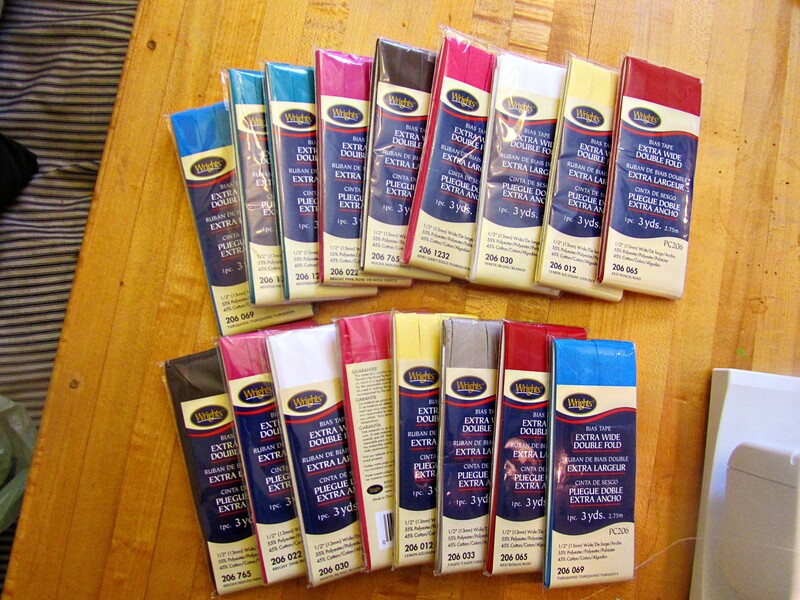 While we were out, we also picked up some extra-wide-double-fold bias tape. We did some math to figure out exactly how many packages we needed before hand for 20 dresses. Lunch time was approaching, and having been up since 6:15 we were all quite hungry, so I started with some butter. 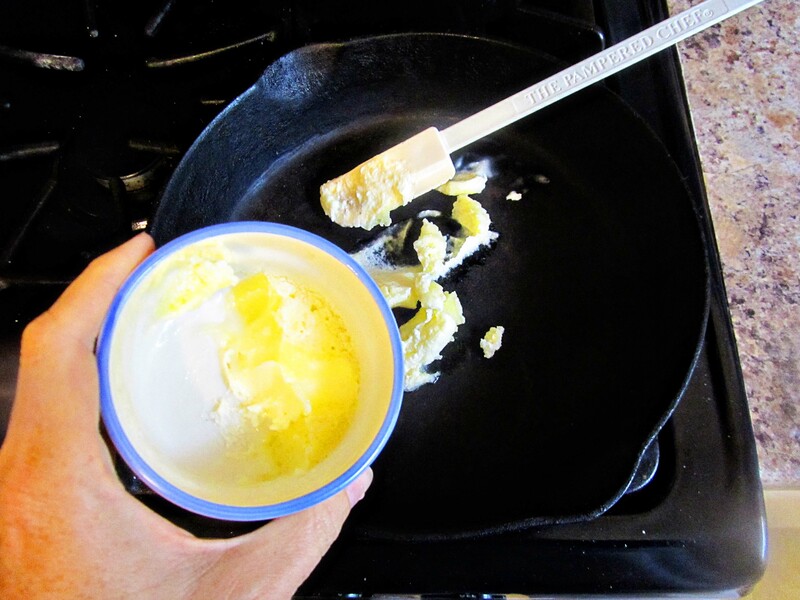 Not any butter mind you, but clarified butter–Little Man’s specialty. Let me explain. 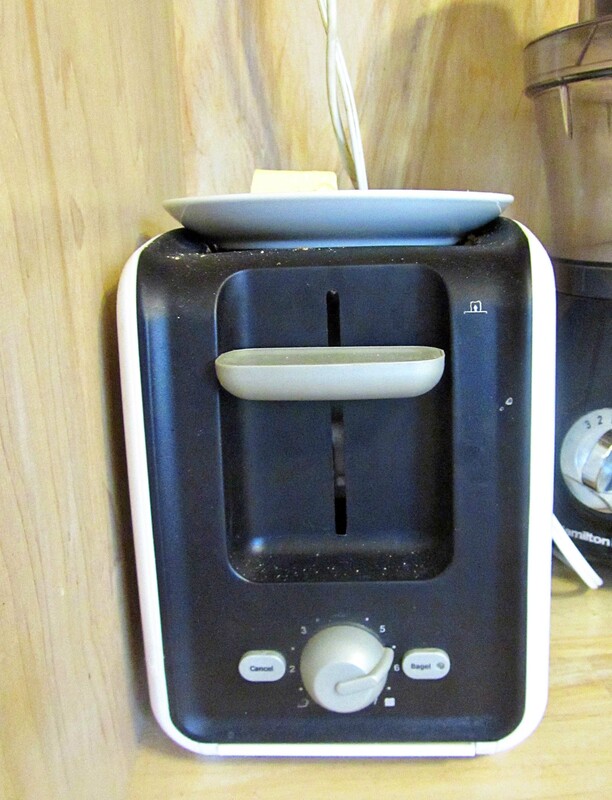 Here is where we keep our butter–right on top of the toaster. This makes sense to me as it is right were you need it. However, Little Man likes to push buttons and levers and turn dials, so he pushed down the toaster button and melted our butter all over the plate and into the toaster. Technically, the butter isn’t clarified as I didn’t remove the milk solids, but it was rather pre-melted butter. Today I was making QUESADILLAS DE CAMERON (pg. 156). 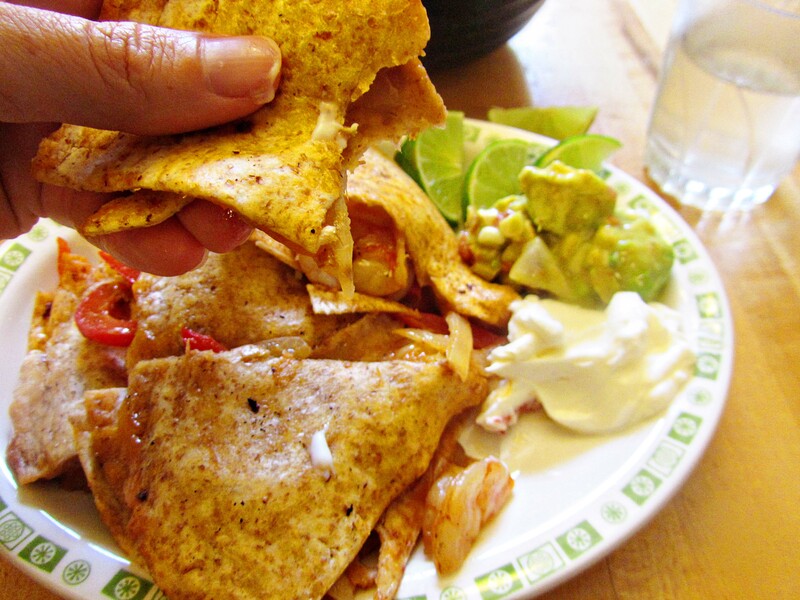 If I had to pick my favorite Pioneer Woman recipe of the summer, I would pick her Shrimp Quesadillas. I love that they can be made in less than 15 minutes, they go well with avacado, and they are delicious. So simple. 1. 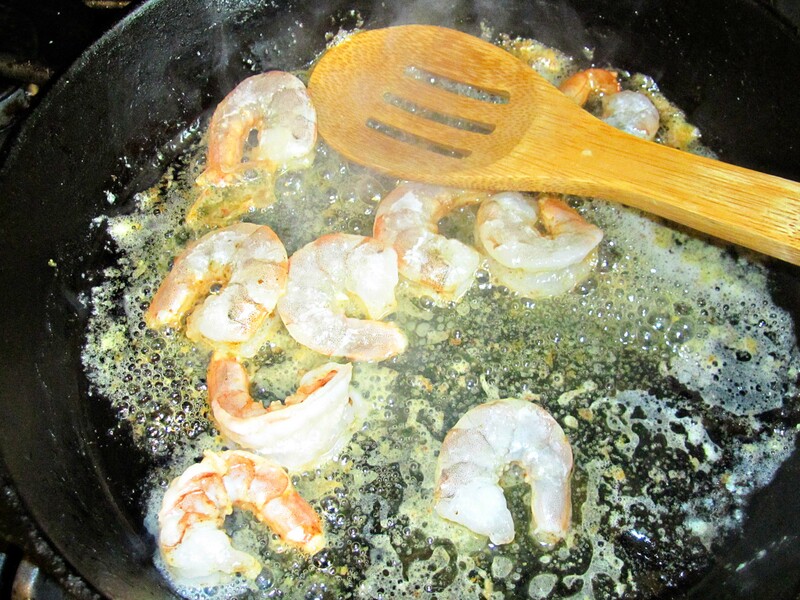 Saute shrimp. 2. 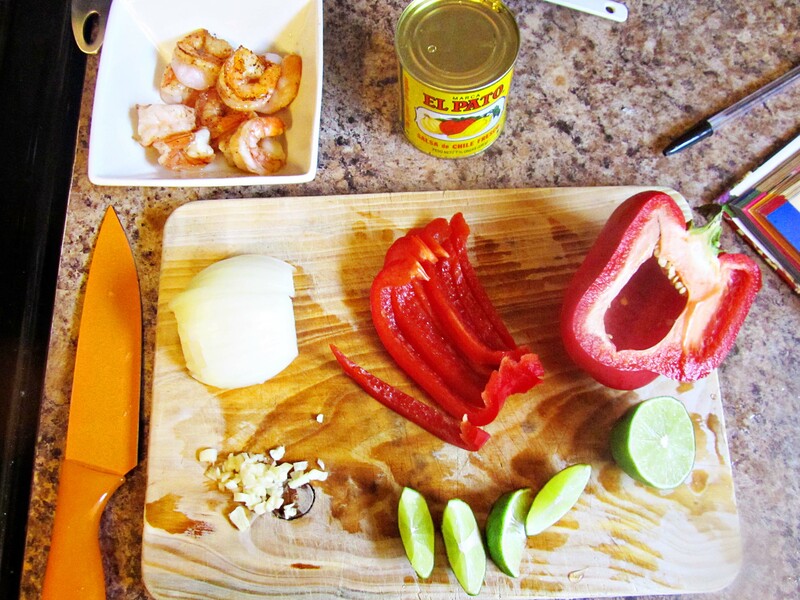 Add some El Pato brand (hot) Mexican tomatoe sauce and stir. 3. 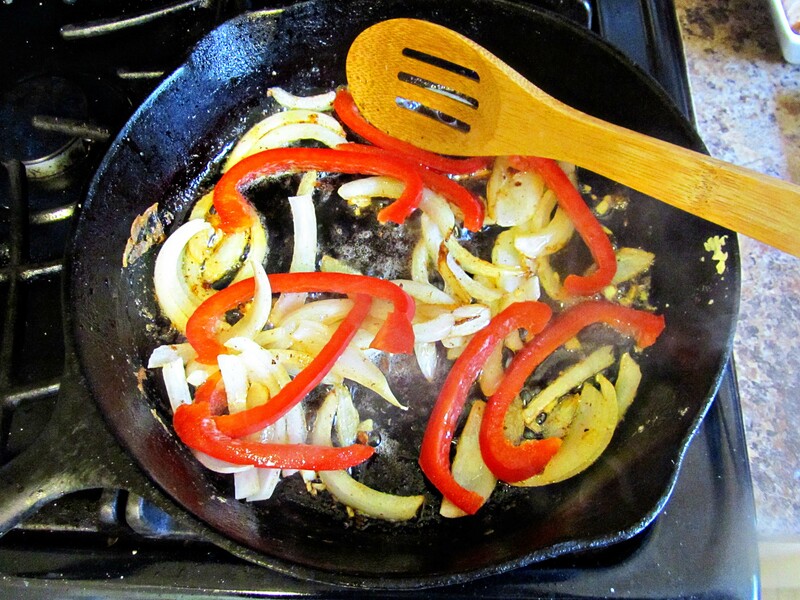 Saute onions, peppers, and garlic. 4. Make an assembly station. 5. Grill up the Qesadillas de Camaron. 6. Enjoy! I had left-over Grilled Corn Guacamole, and wow was this meal good! After lunch, I heard some scuffling and tromping coming from my room. I knew that Sugar and Spice were playing dress up of some sort, so I took my camera up to investigate. They were playing Shoe Store. 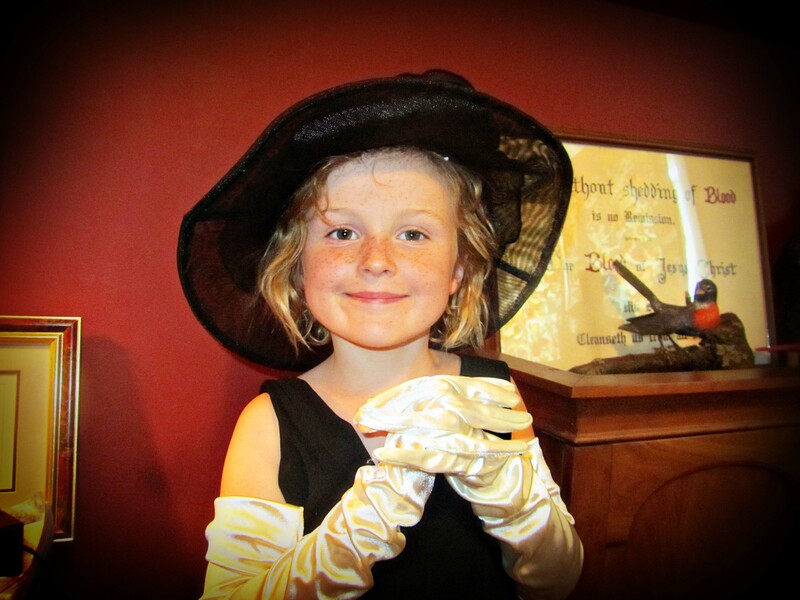 It must have been a rather high end shoe store as hat and gloves were required. Here is Eloise at The Plaw-zah! 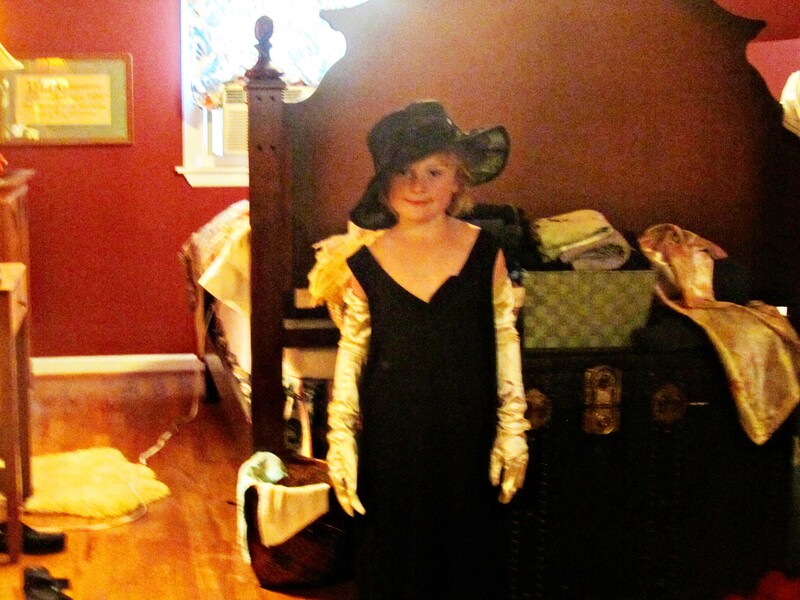 Here is Scout in the dress I wore to the Dress Rehersal at my wedding. 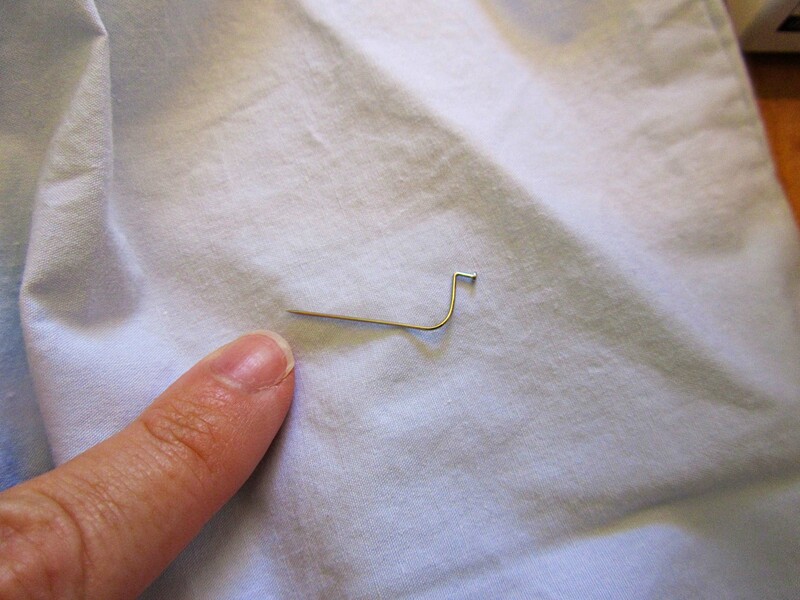 I keep it around for sentimental value as I doubt I will ever be size 6 again. So there you have it. 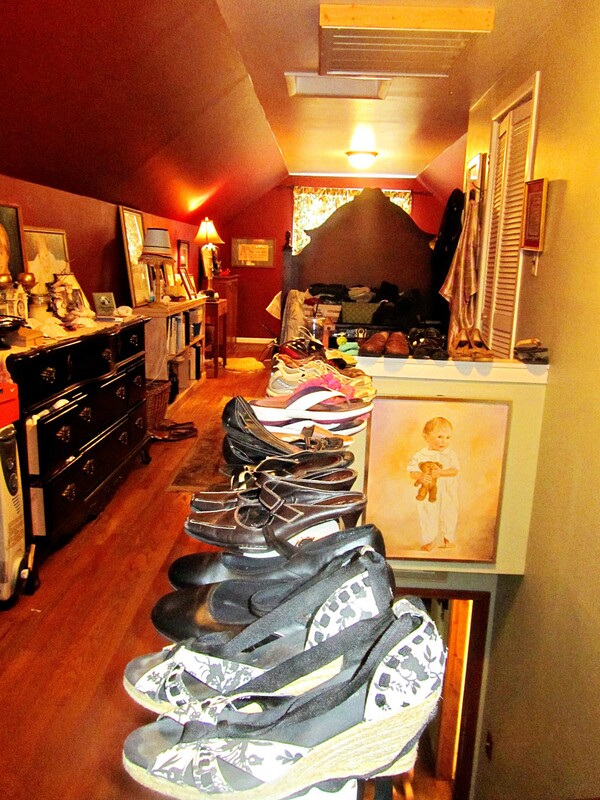 A day of shoes, gloves, hats, and shrimp quesadillas. 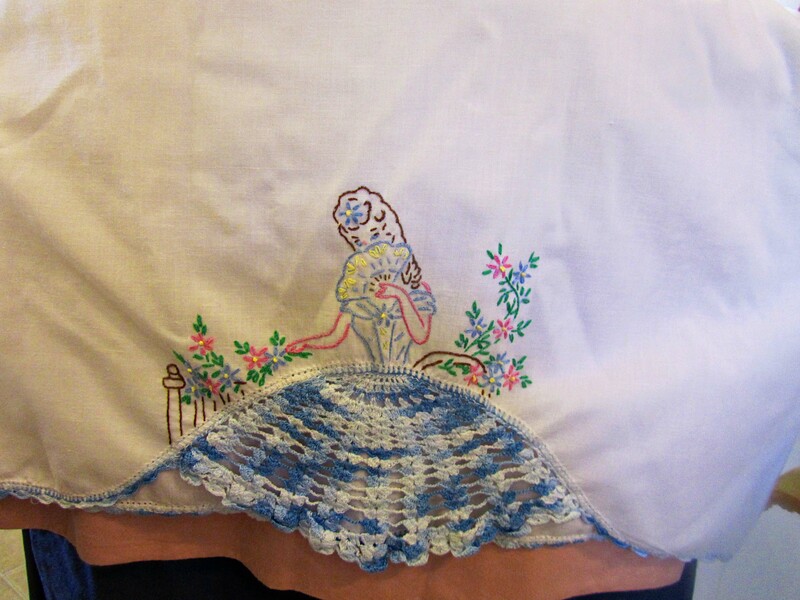 This entry was posted in Recipes and tagged cooking pw's cookbook, cooking ree drummond's cookbook, pillowcase dress. Bookmark the permalink. 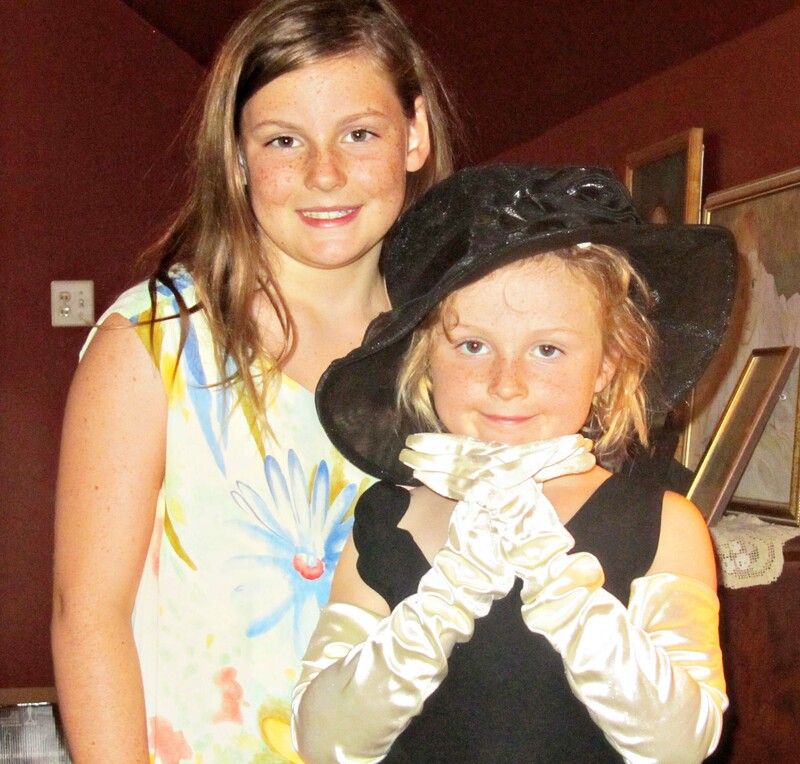 Ahhh, little girls… my 5 are still lovely!! 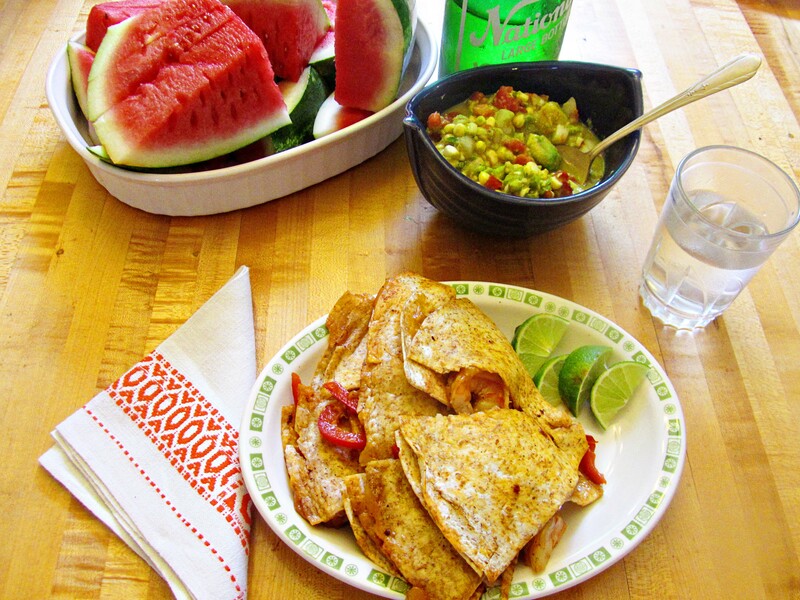 The quesadillas look scrumptious!! 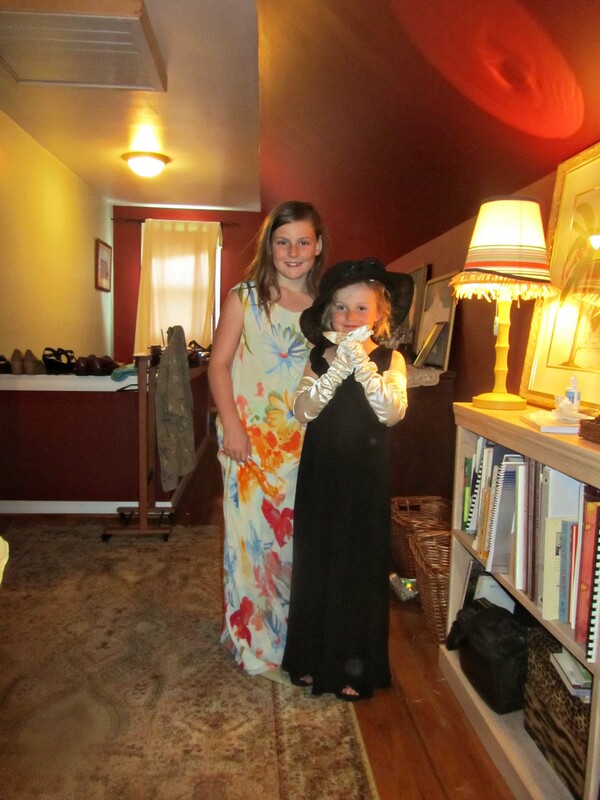 Scout looks like her Mommy in that dress. 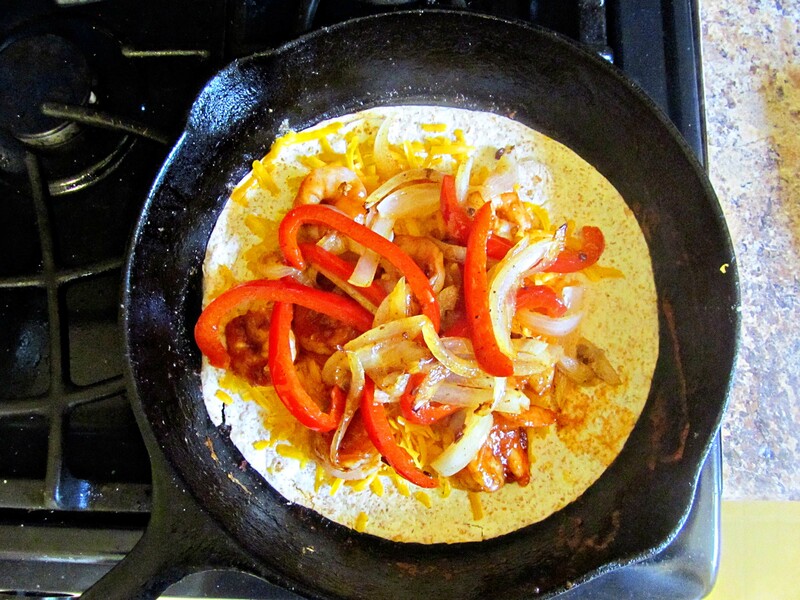 As soon as I am not pregnant I am going to make those quesadillas. 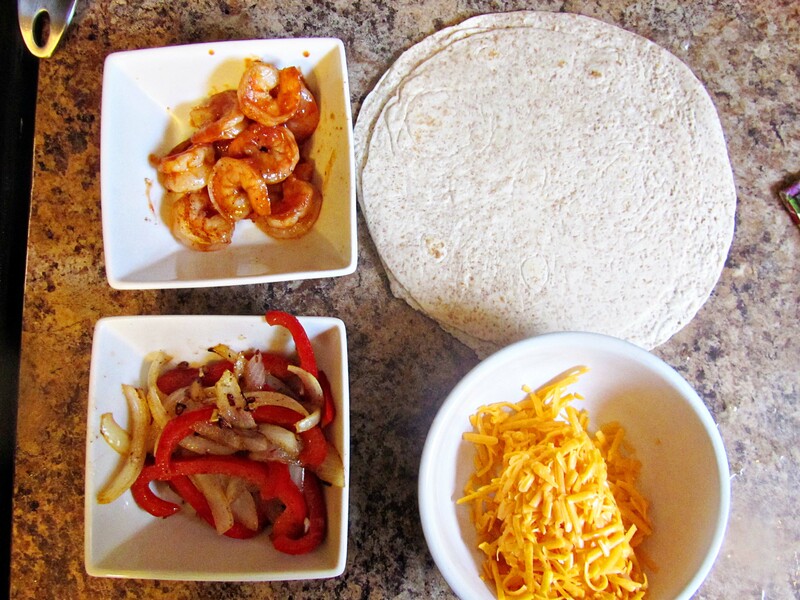 Nothing makes this house happier than Mexican food and nothing makes this Momma happier than shrimp. I found an amazing Cajun Shrimp Taco recipe that I LOVE, but apparently baby doesn’t like shrimp as I can’t even look at them without cringing. I’m just thankful I don’t loose my lunch over it. 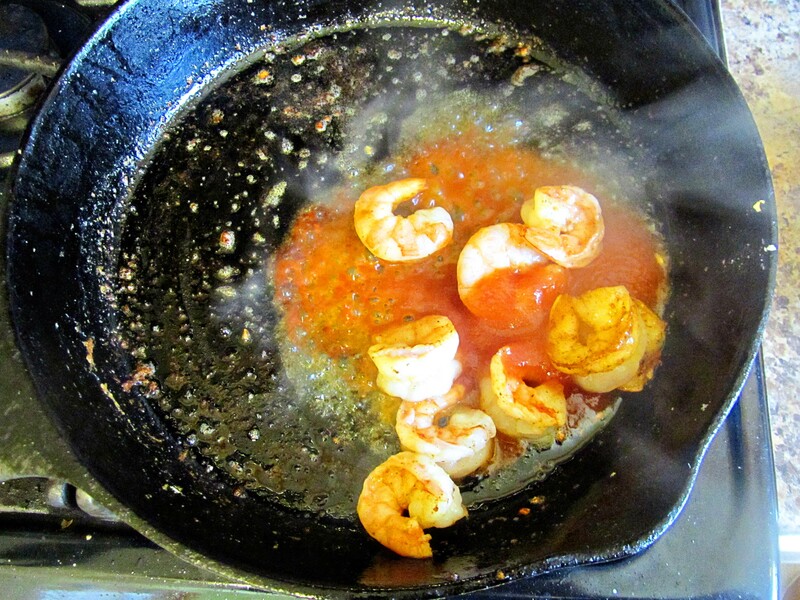 I couldn’t look at shrimp during my first trimester. I finally discovered cantalope and survived my mornings eating just cantalope. Hope you get to feeling better soon!! And congratulations!